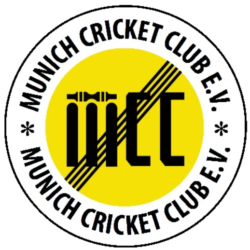 On a fine April afternoon MCC 2nd XI brushed aside the previous days rains and met at the Hirschanger at 1200 (some earlier but the usual suspects Farid and Usman were late). The latter did however bring KFC and was therefore granted life. Captain for the day Bowes won the toss and, much to the dismay of the opposition who were certain that we would bat, decided to bowl. Bowling was opened with Bowes and Ankur, the former getting a wicket with his first ball. Ankur bowled some really good lines and lengths making it challenging for the batsmen to get him away on a slightly damp flix. Bowes from the other end was just throwing up some very straight pies and the wickets kept on falling. At 10-3 we made a change to give everyone a go as we assumed the game would be over in 10 overs, however we were wrong!! 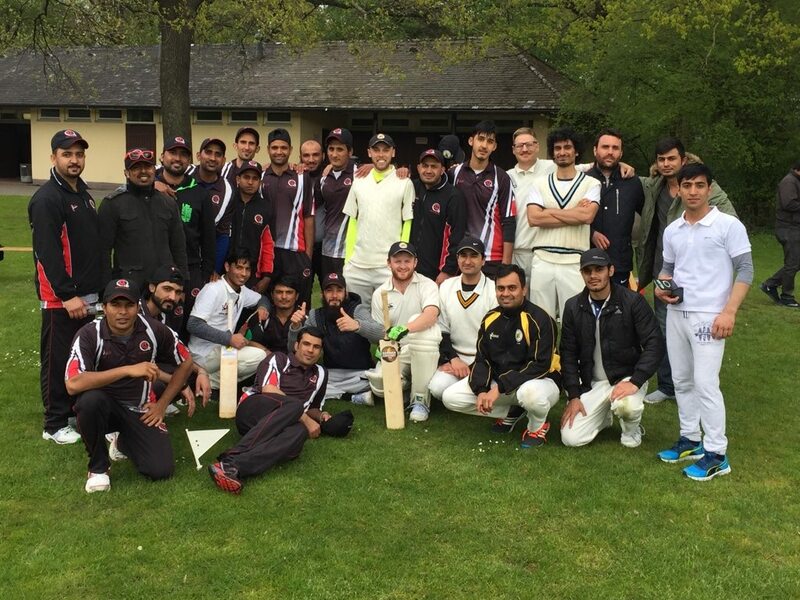 Sabir and Yazdan got themselves settled in and built a partnership of 90 before the former got pinned down by Adbul, beginning their mini collapse bringing them to 120-8, before Bowes and Ankur wrapped up the remaining 3 batsmen (12 a side) getting Pfaffenhofen to 159 ao from 26 overs. Teas were provided by Aneesh and Usmans left over chicken. Going out to bat we seemed rather optimistic we could chase this down without a sweat… Farid, Aneesh, Usman, Akmal, Toke , Ankur and Ben James all fell for 2 runs or fewer leaving MCC stranded on 10-7 after 7 overs…. 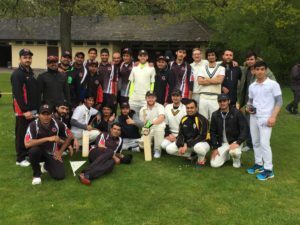 Obaid and Bowes steadied the ship ever so slightly, both managing to face more than 10 balls before the former and the latter hit the ball straight to the men on the boundary. Veith and Kantor played some interesting forehand shots and MCC were rolled for 63. Wides top scored with 22. 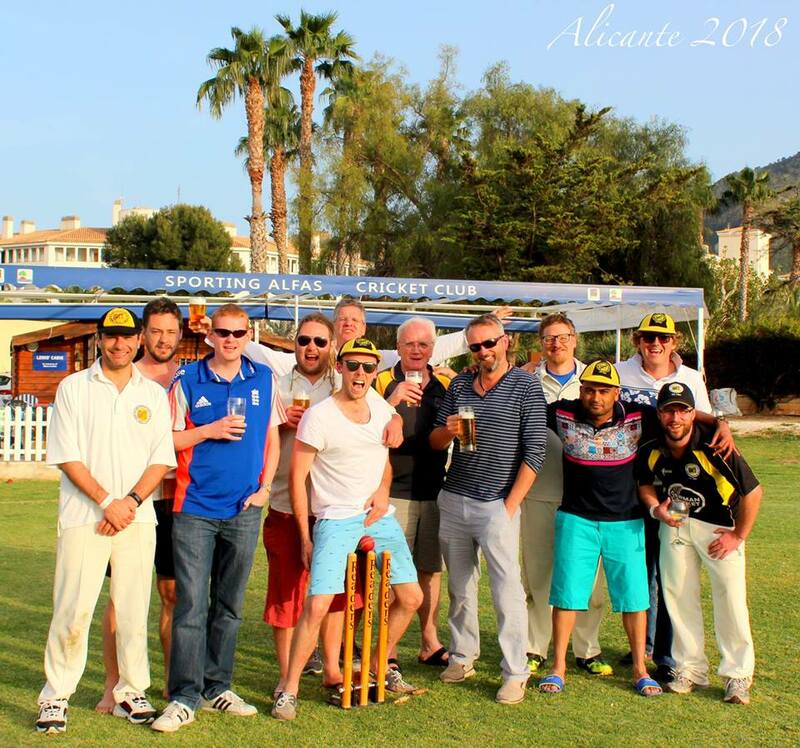 All in all we had a good day out, even though we lost and a few of us hung around afterwards to empty the fridge.